JOIN OUR TEAM as a volunteer. They do all kinds of wonderful tasks such as set up, sales floor organizing, check out and break down. And the more you help out, the EARLIER YOU SHOP! SELL your items as a Consignor! It’s much easier than you think! You sign up, you prepare your items, and then you drop them off at the sale. And the bonus?... YOU SHOP EARLY! Are you a First Time Mom, Foster Parent, Military Family, or a Teacher? We have an exclusive Pre-Sale just for you! Look below to see if you qualify! Please note: For safety, we do not allow children, strollers or wagons on presale night (Nursing babies are the exception to this rule and must be worn). Children, strollers and wagons are welcome on our public sale days. JBF Tucson has made the decision to allow children 12 years old and above to attend the Consignor Friend presale with their parent (consignor) as the "Friend" with the appropriate presale pass. If you are expecting your first child or your first little one is under 12 months, then this pre-sale is for you! You will be permitted to bring 1 guest to help you shop on Wednesday January 23rd from 8pm to 10pm. Click Here for your Free Ticket! We salute you for your efforts to make such an important difference in the lives of children who can use your love and care. 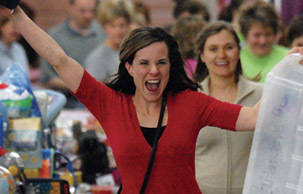 Foster Parents are invited to shop early at the JBF event on January 23rd from 8pm to 10pm. Click Here for your Free Ticket! We can't begin to express the gratitude and appreciation that we have for your service and sacrifice. As a way of saying "thank you", we invite members of our military and/or spouses to shop early at our pre-sale event on Wednesday January 23rd from 8pm to 10pm. Click here for your free ticket! In appreciation for all that you do,we offer an exclusive shopping opportunity just for YOU! Please be our guest at the pre-sale on Wednesday January 23rd from 8 to 10pm. Click here for your free ticket! JBF gives businesses the opportunity to put your service or product in front of our specific target group of parents, families and expectant mothers. We will have 6 different bags for our upcoming sale week. You can pick one bag or all six to be a part of. 1st Time Mom Favor Bag- The 1st 100 - 1st moms (expecting moms, adpotive moms or moms with babies under 1) shopping at our 1st time mom presale on January 23rd will recieve a Favor Bag! Teacher Favor Bag- The 1st 100 teachers shopping at our teacher presale on January 23rd will recieve a Favor Bag! Presale night - The 1st 100 shoppers shopping on our private presale bag on January 23rd will recieve a Favor Bag! Opening Day to the Public - The1st 100 Shoppers shopping on our Thursday January 23rd will recieve a Favor Bag! ** Only 1 Favor Bag will be given to each family in attendance so you can reach as many as 600 households! Printed Item can be no larger than 8.5” X 11” in size. Any color paper may be used, and may be printed on both sides. Please deliver all items to us at TCC Ballroom on Monday January 21st from 9am to 6pm or Tuesday January 22nd from 8 am til 8 pm. Any items not received by during this time will not be able to be included in the favor bags. The Family Fun Fest is held on Saturday January 26th from 8 am to 5pm (we ask that you staff your booth from 9am to 3pm (our busiest time). Get you product and service in front of over 2000 families in 1 day! 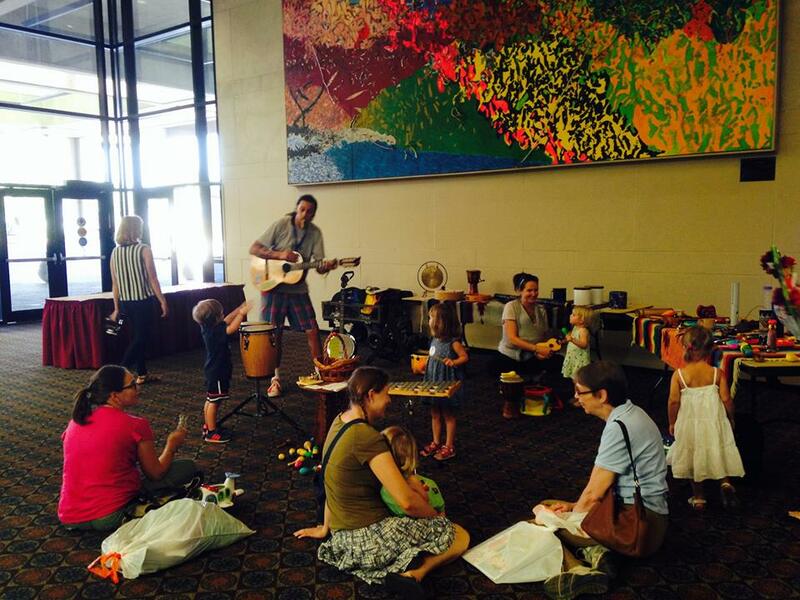 This is a great chance to show off and have families interact with you in person! We believe in staying in touch! 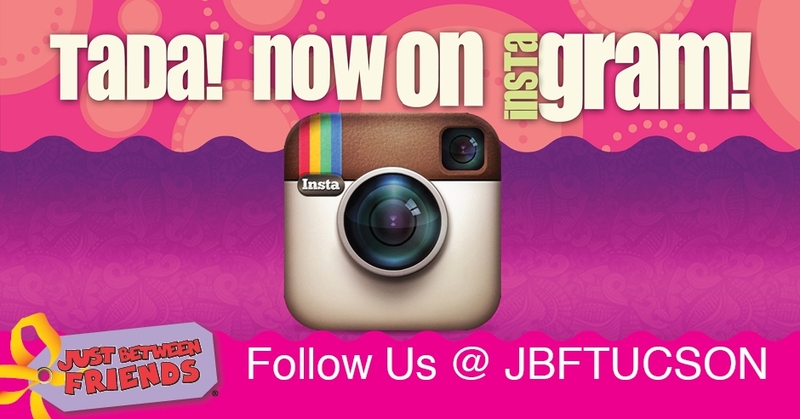 So please join with us by friending us on Facebook, Follow us on Instagram or Tweet Us at @JBFTucson! That’s where we will post contests, bargain saving ideas we come across and any quick updates that just deserve a shout out! You can also join our Texting Club Text "JBF" to us at 72000. This way you won't miss out on the next JBF Sale! Shopping is one of our favorite things to do together. You can always find us on Black Friday looking for a great deal! Just Between Friends was a way for us to own our own business and bring great deals to you! Danny and Shawna are the only father-daughter owners of a JBF Franchise. Shawna is a mom of two girls and loves to plan special events! Danny is a father of two and grandfather of four. He loves fixing and building things.Our entire family loves sports and cheering on our favorite team the University of Arizona Wildcats! We look forward to meeting you at our next JBF event!